2. Make things look chic, simple and awesome! Blush denim jacket can cover a cute pastel pink bodysuit tucked in printed mini skirt. Complete this fun-looking outfit with a pair of blush lace-up slip-on. 3. 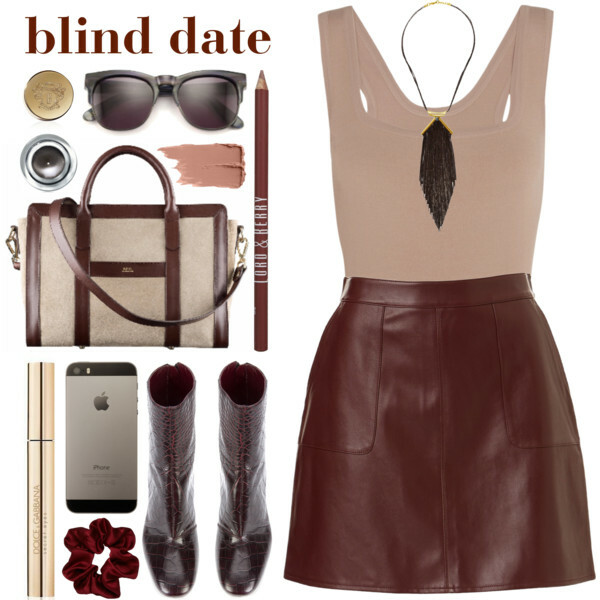 Beige sleeveless bodysuit can be tucked in a rich brown leather skirt. 4. A lovely gray turtleneck is tucked in front-buttoned denim A-line skirt. Add lace-up black leather ankle boots, fur jacket and pom pom beanie. 5. Scoop-neck black bodysuit can be tucked in a front-buttoned suede skirt. Finish this combination with a pair of black pointed-toe heels and military green clutch bag. 6. Lace-up neck bodysuit will be an ideal addition to this daisy print maxi skirt. 7.A classic black bodysuit is a great way to underline your femininity. Add patched denim skirt, glossy red leather ankle boots, and black bomber jacket. 8. Camouflage print bodysuit is tucked in caged overlay maxi skirt and covered with a blue denim jacket. 9. Blush bodysuit is tucked in a white mini skirt. Add a white cardigan and pointed-toe heeled pumps. 10. The black bodysuit is tucked in a front-buttoned beige miniskirt in A-line silhouette. 11. 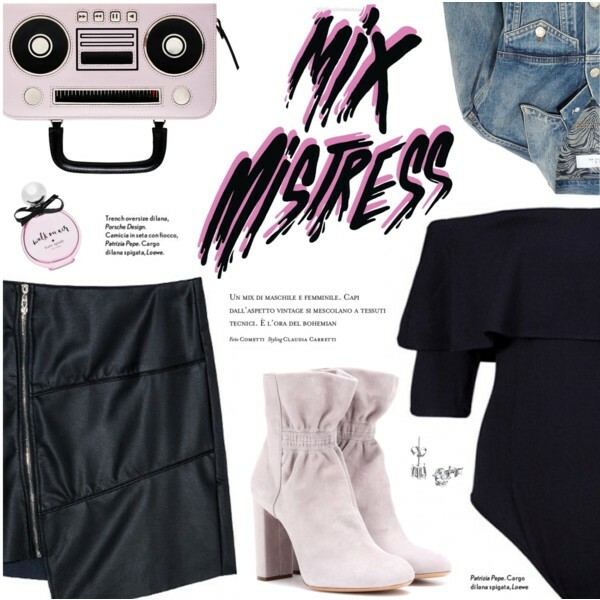 Off-the-shoulder black bodysuit can be paired with a black skirt and denim blue jacket. 12. Black short-sleeve bodysuit is tucked in an orange maxi skirt. 13. Keep it casual! A white tank top is tucked in front-buttoned denim skirt in black color. Add pointed-toe heels and blush bomber.